from a cruise ship or just your back yard. the Panama Canal. 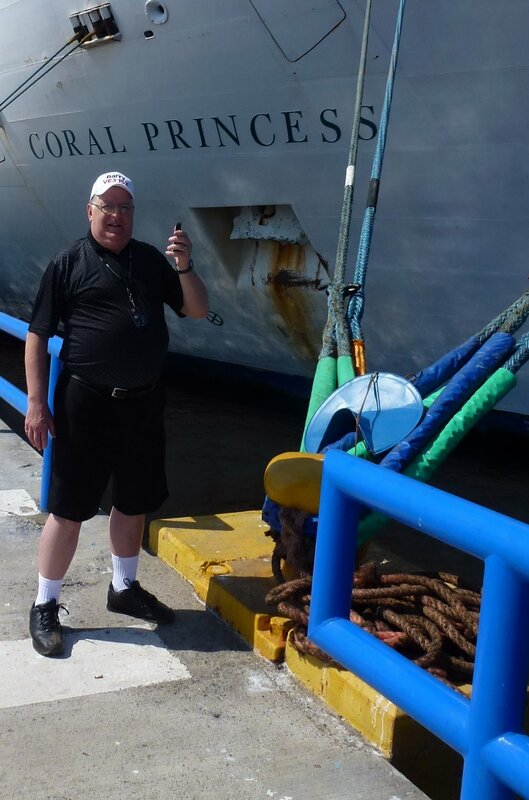 iPhone connected to ship WiFi and enjoying a QSO with the ONTARS net. of just what went into the developement of the VE3ISX HF remote station. Feel free to use this presentation for your club/personal use. 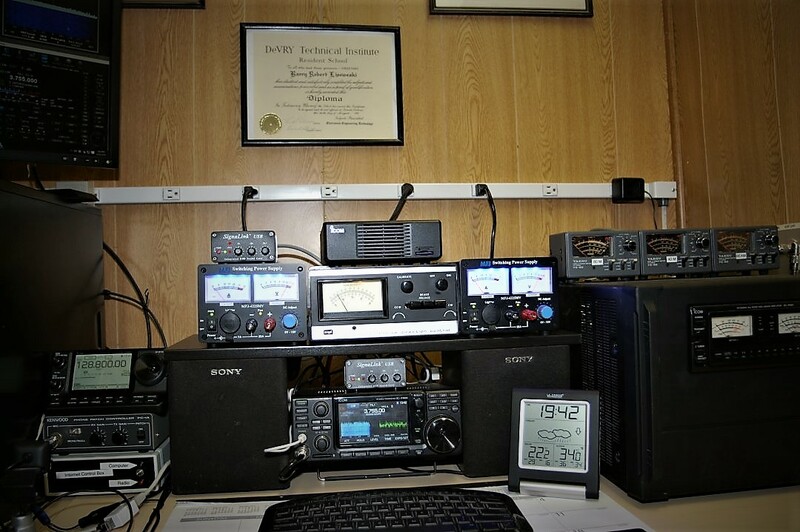 The station consists of ICOM IC-7100, ICOM IC-7300 transceivers and ICOM PW-1 linear amplifier. are controlled by the PW-1 amp and are switched by either of the transceivers. Each band has a Yaesu YS-60 1KW power meter for monitoring. Connection to this HF remote station from anywhere in the world with a secure internet connection. Both transceivers are controlled by ICOM RS-BA1 software on separate servers. Each transceiver has it's own SignaLink USB interface connected to a Windows 10 server. of audio RX/TX and video for control purposes. * SignaLink USB sound interface. shows the operating frequency in real time. To change frequency, you enable TeamViewer to view the server control screen. transceiver changes frequency, antenna and linear settings. or the panel of your transceiver for instant confirmation. 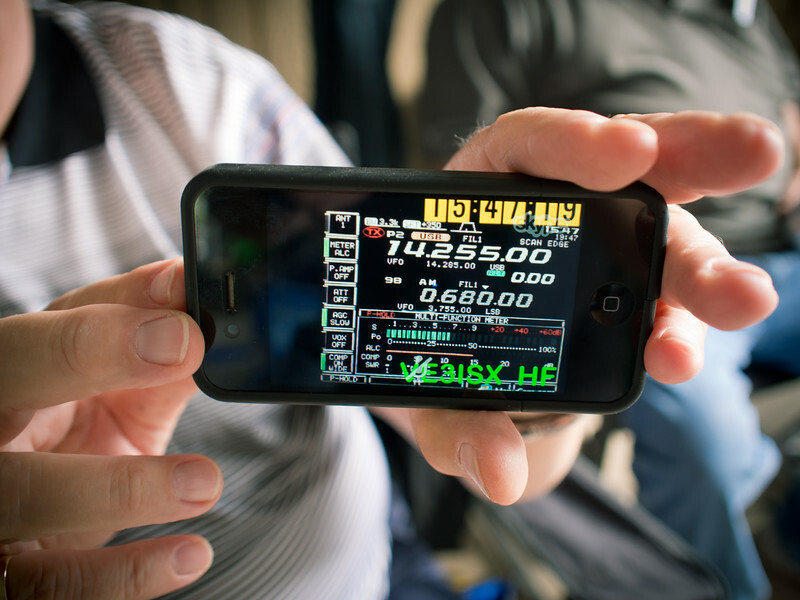 You can even give a signal report! and talking in a normal voice. RX is achieved by pushing the SKYPE muting button and listening. Does your car have a Bluetooth connection to the car entertainment system? Connect your portable device for hands free QSO's while driving! 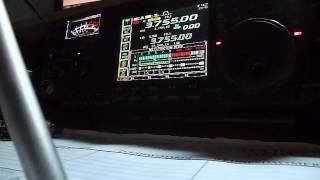 Listen to Vince VE6LK operating the ONTARS net (3.755 MHz sideband net) on YouTubetm . Vince was using Ham Radio Deluxe from his station to manually switch PTT. Sunday morning from Alberta Canada, using the VE3ISX remote station. Read the full details by clicking the above banner.